What We Do — Jessi Zazu, Inc.
We continue the work of Jessi Zazu in three impact areas: arts and humanities, social justice, and women's health. 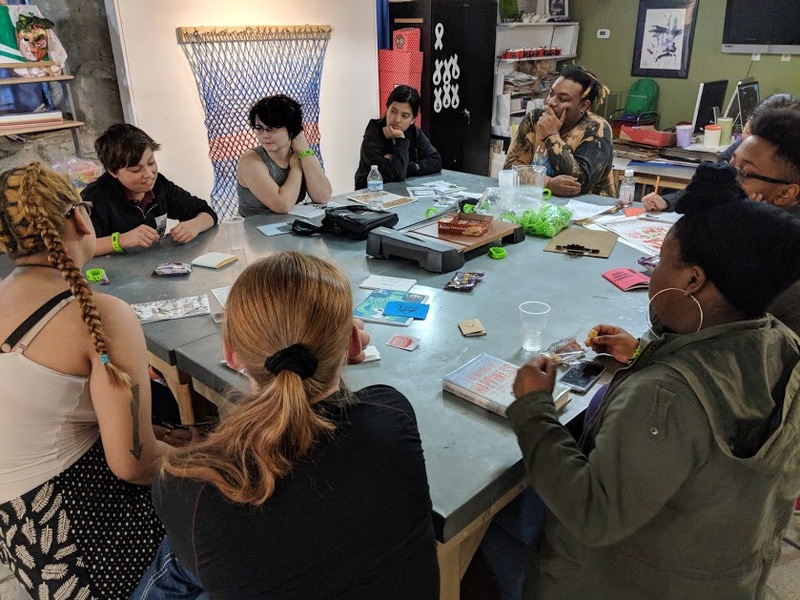 Students in the 2018 Arts + Activism workshop series led by Marlos E'van and Courtney Adair Johnson. This series is a partnership with YEAH & the Oasis Center. Jessi Zazu, Inc. promotes and supports creativity among people seeking to express themselves, raise cultural awareness, and empower integrative community through the arts. We work to make the arts accessible to those who have a passion to pursue and develop their creativity and their art. 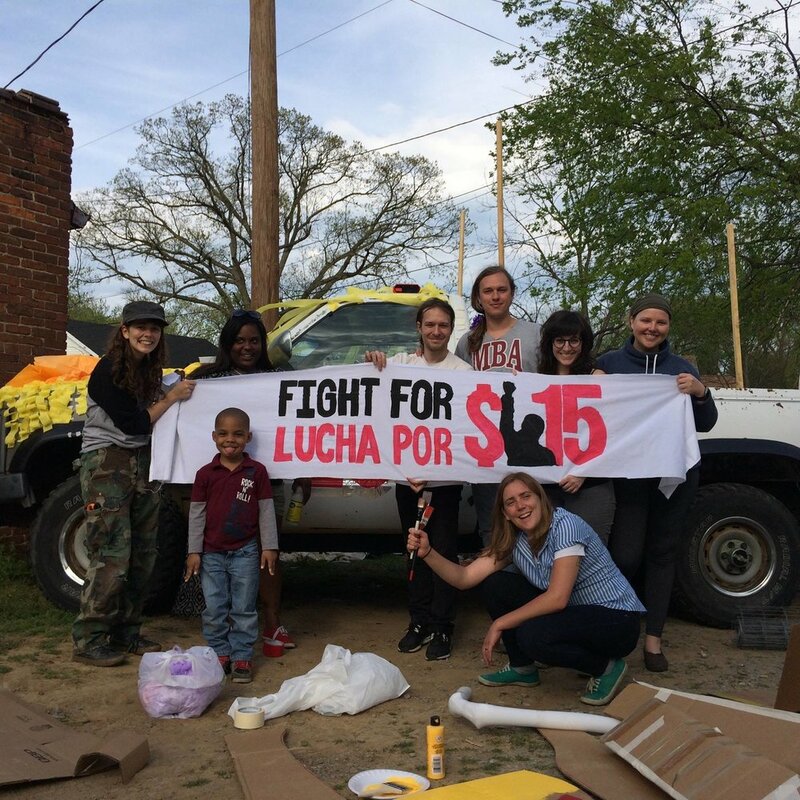 Jessi with fellow activists preparing puppets, banners, and a decorated float for an economic justice protest in 2016. Jessi Zazu, Inc. promotes and supports grassroots efforts to advance social and racial justice through the strategic use of arts and culture. We work to encourage grassroots peoples' movements to foster creative, collective pathways toward a just world. 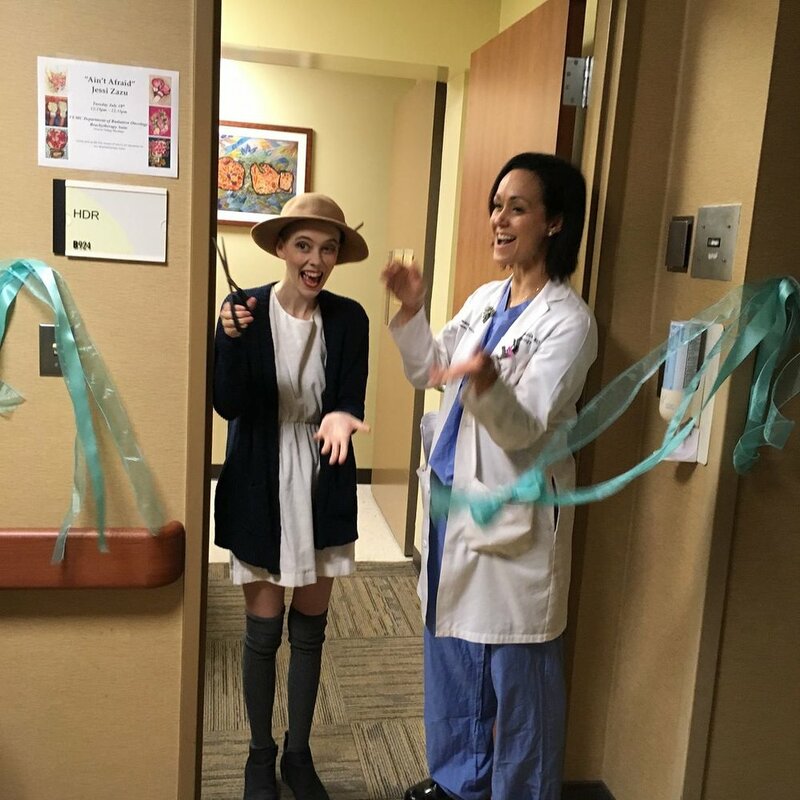 Jessi with a doctor in 2017 at the Vanderbilt-Ingram Cancer Center’s (VICC) Radiation Oncology department unveiling the paintings she donated to the Cancer Center. She created the pieces while she was a cancer patient. Jessi Zazu, Inc. promotes and supports access to women's health care services, preventative screenings and education of women in regards to their own health care needs. We aspire to a world where all women have safe, affordable, access to life saving healthcare.